There are many things that can make a pet to vomit. It can be as a result of sickness, overeating or maybe the food does not taste good. Pet vomit is unsightly and many people are usually frustrated on how to handle it. If your pet has ever vomit on the wool rug and you are wondering what to do effectively remove it, then worry not become it is possible to get rid of it. You don’t need to have completed cleaning equipment is order to successfully remove pet vomit stain and odor. All that you need to do is follow few simple cleaning tips. In this article, we are going to give you tips on best way to remove pet vomit from wool rugs. If you realize that your pet has vomited on the wool rug, the first thing that you need to do is put on a disposable or latex glove. This will not only help to protect your hand from unpleasant substances but will protect you from harmful bacteria. As said before, there are many reasons that can make a pet to vomit one of them being sickness. Wearing glove will help protect you. When your pet vomits on the wool rug, then you will most definitely see food particles. Before you start dealing with the stain, you need to first remove visible food particles. Remove as much particles as you can using a spoon or a spatula don’t use a rough object because you may end up damaging the rugs fiber. Once you have eliminated food particle, use a towel to pick the vomit from the wool rug. Gather as much vomit as you can in the wool rug then place it in a pocket. Once you are done, wash the towel using suitable detergent to prevent vomit stain from stick on it. 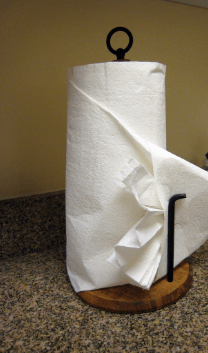 You can also use paper towel to remove vomit then throw the waste directly to the trash bin. One thing about vomit is that it is sticky. As a result, cleaning the stain directly is not recommended. Instead, you should first spread water on the area where the stain is then clean it with an absorbent material. Slowly work from the edges then move slowly towards the center. Warm water should be applied immediately because the longer you wait, the more the vomit will damage the rugs fiber. Do not rub the areas where the stain is because it will help the vomit settle it not he rugs fiber. 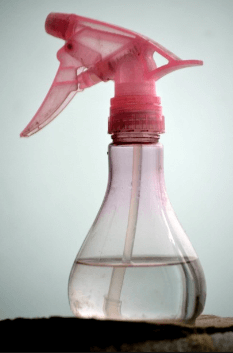 If you realize that the warm water does not remove the pets vomit, add small amount of white vinegar to warm water then use the solution to blot the stain. Do not add any other cleaning product to the solution because it may discolor the wool rug. Baking soda is highly recommended when cleaning vomit spots. It helps to absorb excess moisture. Pour small amount of baking soda over the stain then give it 5-10 minutes to dry. Once the clumps have completely dry, vacuum the area to remove all clumps. To effectively remove pet stain from wool rug, you need to apply appropriate cleaning solution. Experts recommend that you use cleaning solution that is recommended by the manufacture. Avoid using chemical cleaners because they will compromise the rugs fiber. Some recommended cleaning solutions include a vinegar, hydrogen peroxide, a cleaning solvent, club soda among many others. Use a clean microfiber cloth to gently clean the stained area. Repeat the process until you remove all stains from the rug. Microfiber cloth is used because it is soft and will not affect the rugs fiber. 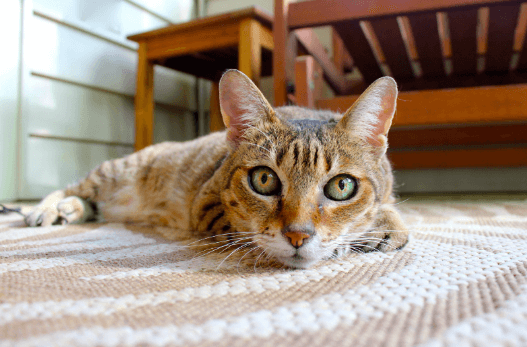 Once your rug is stain free, then next thing that you need to do is removing vomit odor. There are many solutions that you can use to eliminate bad odor. For instance, you can sprinkle small amount of baking soda on the stained area. Baking soda is basic and will help neutralize vomit with its acidic thus eliminating bad odor. You can also use vinegar or spray deodorizer to eliminate odor from the rug. Ones you have removed both the stain and the order, you need to clean the affected area with clean warm water. This procedure helps to remove stickiness that comes from cleaning materials. The affected area may appear clean and stain free but in reality there are some unseen stains that will show once the rug dry completely. To prevent this stains from forming, you need to clean the stained area once more using warm water. It will help eliminate all unseen stains and stickiness that can even attack more dirt. The biggest mistake that many people do after cleaning their stained rug is using them before they completely dry. If you do so then the rug will attracting stains fast. 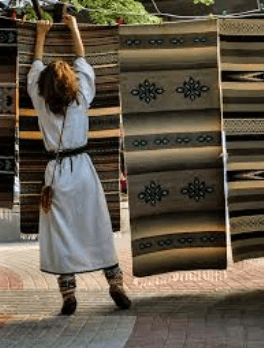 Before you start using the rug, give it time to dry completely. To can hang it outside to dry completely or you can switch on your fan to fasten the drying process. Give the wool rug time to dry before you start using it. In conclusion if your pet has vomited on the wool rug, then you should not worry because the stain can be removed by following simple steps listed above. However, if you want to get the best results, you need to act fast before the vomit settles into the rugs fiber. If you follow tips given above, you will not only eliminate stubborn vomit stain but will also eliminate the odor associated with pet vomit. In fact, no one will even notice that the pet once vomited on the rug. If you are looking for a reputable company to remove pet vomit from the wool rug, then look no further then Burgos cleaning service. We offer quality services to all our stem clients. Call us today and request a free quote.